Tokyo Executives would like to thank everyone who attended our “Innovations at Google” event. Working with the BCCJ for the first time was a delight and we hope to work together again. Masumi Reynder`s presentation was found to be both informative and entertaining, using video of Bill Nye the Science guy to illustrate her points, and referring to previous Google projects and ideas to explain how the many Google tools we use today are the way they are. Tokyo Executives would like to thank all of the participated in the Tokyo Executives Golf Day. We would especially like to thank Bennett Galloway for communicating on behalf of Tokyo Executives with Camel Golf Resort to host the event there. It was a good time had by all, many people experienced some of their personal best scores, and the weather coincided perfectly with our schedule, raining only when getting back to the clubhouse for lunch and then clearing up right as the tee times for the back nine holes started! Below are some other pictures from the event, we hope that next year everyone will be able to join again! Join major companies and a host of VIPs for informal and relaxed networking at LEG.A Roppongi (opposite Tokyo Midtown). After 7 is a networking event where managers, executives and CEOs come together for an informal and relaxed party to swap contacts and explore relationships. Held once a year, the 4 previous events encountered a tremendous success with over 400 participants at each. Organized by the Ecentral career and networking website and co-promoted by 12 Foreign Chambers of Commerce in Tokyo, high-profile people and companies are anticipating this occasion to build new relationships and expand their network. The keyword of today`s business moving forward seems to be Mobile, not only the idea of creating and utilizing mobile apps but also obtaining the ability to be on the move and yet operate as if you were sitting at your desk with an assistant taking your calls. Luckily, such companies that operate in Tokyo have been working on making this mobility easier to realize. Here are some of the features in particular that Servcorp, a well-known serviced and virtual office provider offers. You can select your Central Business District address from over 140 locations worldwide. For Tokyo that means a 03-####-#### telephone number. This means that you do not need to worry about your representation via telephone – a dedicated receptionist will professionally answer incoming calls in your company name. On top of online hosting and conferencing you also receive access to boardrooms, meeting rooms, and day offices on a daily basis. You can use them hourly or for as little as ten minutes. 6. 24 hour interactive voicemail. Around the clock voicemail services so you do not have to waste your time worrying about separating out your messages. Virtual Office is everything but the office. Meaning, you have all the functionality that a business requires without the physical office space. However, many companies offer business lounges, day offices and even meeting rooms that are available to you on an as-needed basis, allowing you to run your business cost-effectively. Virtual Office package would include a set amount of hours for you to use some of these facilities, but if you require more time, you can always use more at an extra cost. As time goes on virtual offices are becoming more developed, more streamlined, and better managed. If you would like to try one out Servcorp offers a FREE 30 DAY trial at the moment. Why not try it out? There are some big things happening in the world of air travel at the moment, and it may affect how you get to your next big overseas meeting and who you are flying with. Since the September 11th tragedy, many airlines have vanished or have seen nothing but steep declines year after year. Mishaps like Southwest charging customers multiple times when they ordered on a Friday to receive a 50% discount have not helped to improve the public`s outlook on the situation. In Asia, HK Airlines has stopped taking reservations past September 3rd for the Hong Kong to Gatwick route that only just started running on March 8th. Climate related issues will also now start to take a big role in how airlines work together and start to effect routes between certain countries. The EU`S Emissions Trading Plan has raised some opposition, China and India have raised the strongest disdain for the idea saying that they may not allow for their airlines to participate, and in the U.S. the House of Representatives passed a bill that orders U.S. carriers not to take part in the program. 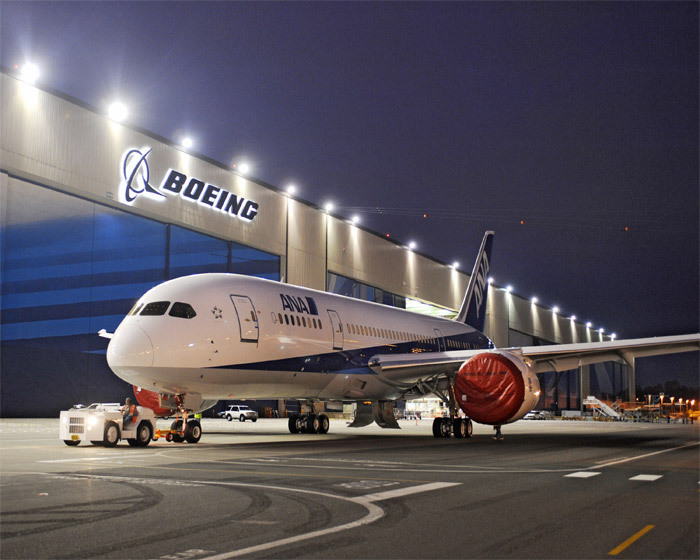 However, for some companies in Asia like All Nippon Airways, things are beginning to look up. ANA has been doing much better recently, posting a net profit of 668 million yen for the first fiscal quarter this year. This could be attributed to the rise in the value of the Japanese yen, which has given people earning in Japanese yen spending power when it comes to air travel, but ANA says they do not see any reason why they cannot maintain this positive trend. Happy and energetic employees are the key to business growth, and when they get tired or frustrated it will show up in the numbers. Marissa Mayer used to work 120+ hours per week when she started working at Google. This would usually lead to ill health and an unstable mind. However Marissa Mayer found that by keeping close attention to feelings of resentment, finding a rhythm, and granting one-must freedoms she could keep herself motivated, focused, and replenish her energy. Of course praising your employees is always good too, below are some good suggestions.